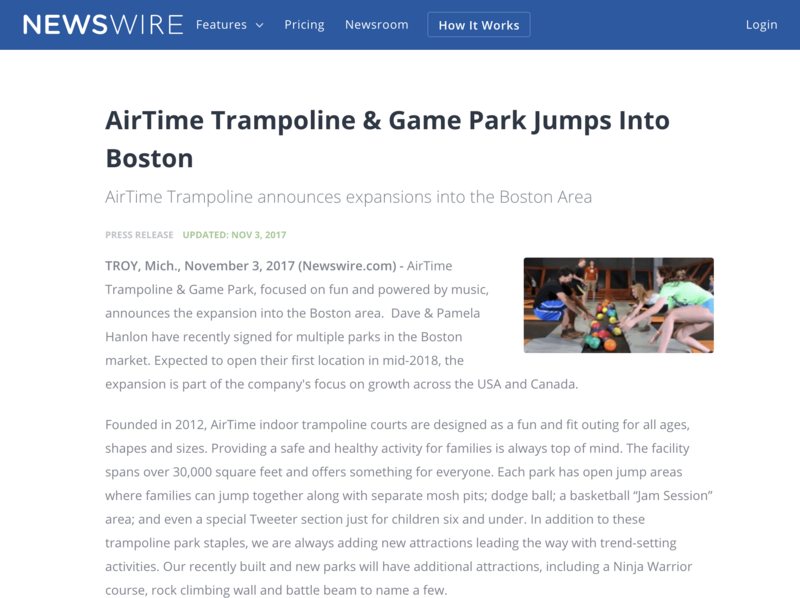 TROY, Mich., November 3, 2017 (Newswire.com) – AirTime Trampoline & Game Park, focused on fun and powered by music, announces the expansion into the Boston area. Dave & Pamela Hanlon have recently signed for multiple parks in the Boston market. Expected to open their first location in mid-2018, the expansion is part of the company’s focus on growth across the USA and Canada.